Christmas promo grand prize winner of 500 $Vevue tokens is Vevuer AA. Congratulations and thank you to all participants. We had a fun time celebrating holiday traditions around the world. As a special bonus, everyone who submitted a video via Vevue App will receive our second place award of 200 $Vevue Tokens. Please contact us with your slack ID and we will distribute your reward. If your name is not on the list please contact us with your video submission. We are proud to build Vevue as a community first project. To date, we have distributed 110,462 project tokens to 215 addresses. Most awards issued during our Christmas giveaway still show as pending. CoMakery is struggling to sync with an ever busy Ethereum blockchain. We will issue a statement in slack once transactions begin processing. Early 2018 we plan to help accelerate 3 functions with CoMakery: Qtum blockchain integration, KYC forms and 1099's for contractors. 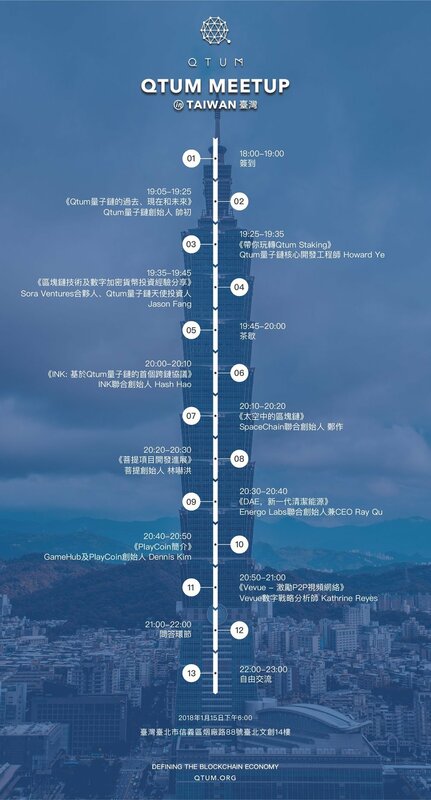 Vevue, Qtum and other DApps coming together in Taipei for demonstrations, giveaways and a peek in the world of Qtum! Register now as space is limited to 1,000 attendees. Traveling over the new year? Message us on Slack to let us know where and we will pin tokens at your destinations. More updates coming early next year. For now please enjoy this beautiful Vevue Request answered by Vevuer; Vision229. Happy New year to all.